Dr. Ghosh provides state-of-the-art care in the management of bone spurs in the cervical, thoracic, and lumbar spine. Bone spurs can arise from the normal degenerative process that occurs with age in the cervical, thoracic, and lumbar spine. The bone spurs may cause compression of the nerves or spinal cord that can result in pain, numbness, or even weakness. Dr. Ghosh is able to tailor the treatment and management of such bone spurs to best suit the patient. 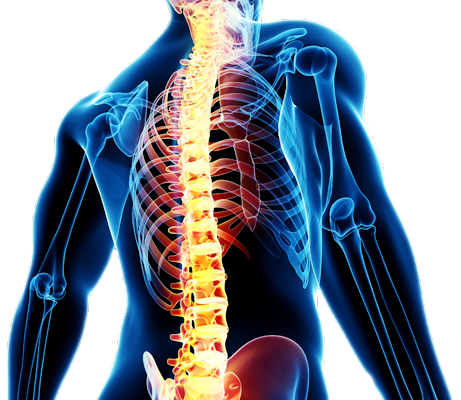 Sometimes this involves approaching the bone spur from the front of the spine and sometimes this involves approaching the bone spur through minimally-invasive portholes in the back of the spine. Dr. Ghosh has expertise in all of these approaches. The minimally-invasive techniques of treating bone spurs include outpatient procedures that involve approaching the bone spurs through minimally-invasive channels and then gently removing the bone spurs with the use of an operating microscope and precision surgical instruments. Dr. Ghosh used this technique on Dr. Plowden Bridges with great success and you can see Dr. Bridges testimonial on the website.